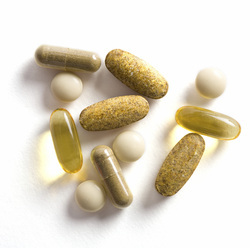 Supplements: What do I need? It can' be so confusing when you are looking for things to give you that edge. one product claims to outperform the next and there are powders, pills, drinks and bars to chose from. I will try and make things a little clearer here for you. You can also find all the supplements that I have personally used and had good results with in the store area of this website, every product comes with my personal approval, no nonsense, good value. OK, so protein is really the most important part of any diet (even if you don't work out). It is essential for nearly every function of the human cell, providing both a framework for tissue construction and enzymes to regulate the metabolic processes. What that means is that you need it, in every meal (yes even breakfast) and in reasonable quantity. By using protein powders it's sometimes easier to get the required amount of protein delivered to your body when a meal may not (for any reason) be complete or possible. Many people work jobs that don't allow for multiple meals during their working time, but nobody minds if you sip on a drink do they? You can create a simply meal by having a shake of protein powder and oats (both easy to find on any supplement website). Now you have no excuses for spending 6 hours without giving yourself fuel. You can also use protein powder to add to other meals that would otherwise be without a source of protein, take your breakfast for example. Normally people would have some sort of cereal, toast, pancakes, bread etc. really just some carbohydrate (after all that's what we are crying out for in the morning) but the idea of eating meat with those options is unpleasant. You may also find yourself getting bored of eggs for breakfast every day (although an excellent source of protein). How about adding some unflavoured protein powder to your cereal bowl? just a scoop with your food won't be a drastic change, in fact it can make it creamy, especially with oats/porridge. One simple change and you have helped to balance your meal, by continuing to learn about ways to introduce the correct nutrients to your body you will just know if a meal is good or incomplete. See the diet guide area for tailored guides that I can set up with you, complete with more little tricks to save time, money and sanity! More content to be added soon!